Languages: Follow the Urique River which winds through the bottom of the rugged Copper Canyon floor. This expedition style hike offers stunning views of the river, treks through narrow slot canyons and visits to native communities perched on the canyon walls. Copper Canyon is the name that is used to reference the canyons of the Sierra Madre Mountains, situated in the state of Chihuahua in Mexico. It is four times larger and almost 300 feet deeper than the Grand Canyon in the neighbouring United States. 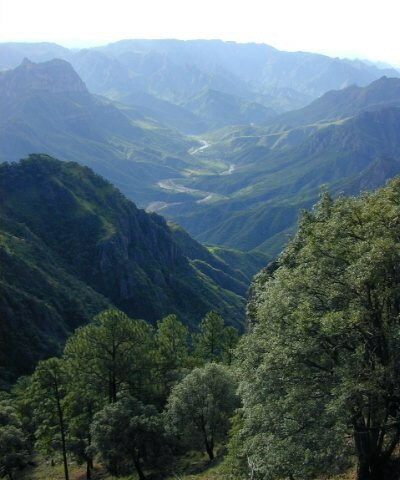 There are actually six separate canyons in the Copper Canyon system, each of which is spectacular in its own right. Mexico established the Parque Nacional Barranca del Cobre (Copper Canyon National Park) to showcase this remote but beautiful area. It is also the homeland of the Tarahumara Indians. Tour with private guide in Mexico. These cave-dwelling people are considered to be the world's greatest long-distance runners. The Chihuahua al Pacifico Railroad, one of the most spectacular train rides in the Western Hemisphere, passes through 86 tunnels, crosses over 37 bridges and climbs almost 8000 feet on its journey through this rugged mountain area. • Hiking through the stunning Batopilas Canyon with stunning views of the river and a crossing of a suspension bridge at Vado de la Cueva. • Overnights in beautiful oak and jarrilla studded campsites. 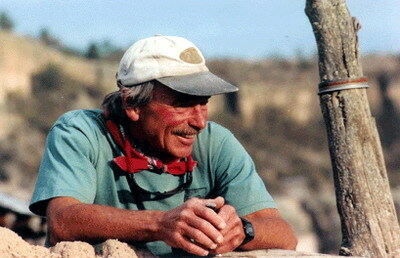 • Visits to remote settlements of native Tarahumara and sharing the canyon trails with indigenous farmers and ranchers. • Overnights in the historic frontier settlements of El Fuerte, Cerocahui, Creel, Chihuahua and Batopilas. • Train journey on the famous Chihuahua al Pacifico railroad from the pacific coast to the rim of the canyon. Excursion in Mexico. This train ride is a highlight in itself showcasing the spectacular transition between the dazzling Sea of Cortez and the arid canyons of the Sierra Tarahumara.